The original Houdini Picture corporation established by the legendary magician Houdini, has been revived and is alive and well in Las Vegas even though the corporation has been in a state of obscurity for decades. 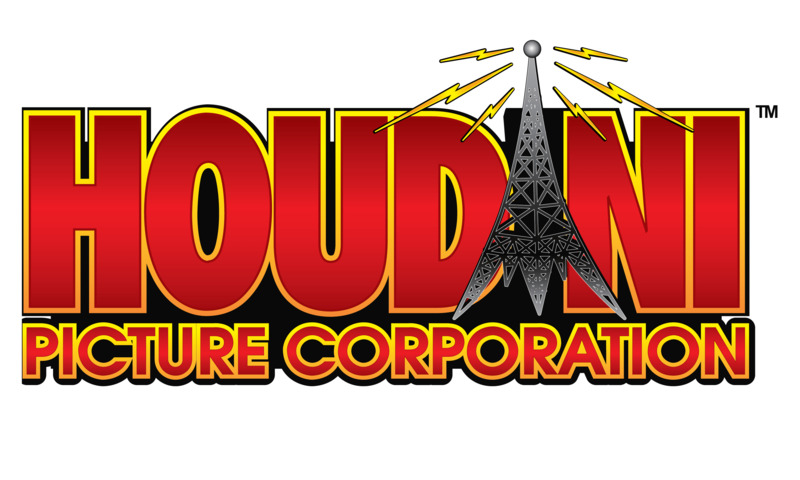 In the tradition of Houdini, the corporation has been brought back to life through the assistance of Geno Munari, owner of Houdini's Magic Shops - Las Vegas, and Sid Radner of the Houdini Historical Society. The original articles of incorporation of the Houdini Picture Corporation, owned by Houdini, have remained in tact since 1921 and have been officially transferred to Houdini's Magic Shop in Las Vegas. Future plans for the Houdini Picture Corporation will be to collaborate with Houdini's Magic Shops on the production of magic instructional videos and to offer these products on the world wide web at Houdini.com. "Plans to appoint a board of directors comprised of professionals from the fields of magic, show business and literature have already begun," said Munari. "Pulitzer Prize winning author, Kenneth Silverman, longtime Houdini collector and historian Dr. Morris Young and Houdini curator, Sid Radner have already accepted." Houdini's introduction to motion pictures was a natural progression following his 25 years on the vaudeville stage as the world's greatest magician. In January of 1919, Houdini starred in his first motion picture, The Master of Mystery, working for a weekly salary of $1,500 plus half the profits. The Master of Mystery was distributed worldwide and successfully portrayed Houdini's illusions and stunts, earning him fans from as far away as Asia, South America and Australia. The Grim Game followed in which Houdini defied death dozens of times. Other films included Terror Island, The Man From Beyond and Haldane of the Secret Service. Of course, the focus of each of Houdini's films was his ability to escape from any situation. The death-defying illusions he performed on the screen served to keep his live performance career in demand. When Houdini's acting ability was met by critics with mixed reviews, he ultimately returned to the stage. Houdini's movies stayed in the family for some years following his death on October 31, 1926. While in the basement of a brother-in-law's home, the films were discovered by an inspector who ordered the cartons of films be removed immediately as they were combustible. Sadly, a fortune Houdini films were hauled off as rubbish. But like Houdini himself, the films reappeared and will soon be on display and available to the general public at Houdini's Magic Shops. Also a commemorative stock certificate will be issued in a limited private circulation application to honor the original Houdini Picture Corporation. Houdini's Magic Shops are dedicated to preserving Houdini's name for all the generations to come.